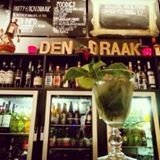 Founded by a team of volunteers of Het Roze Huis, the bar has become a meeting place for everyone looking for a good time. This is a very cosy and quite warm cafe that was founded by volunteers who work upstairs at the LGBT community centre Het Roze Huis (the Pink House). There are some snacks available too. Opening Hours: Daily from 12pm till late.